Custom replacement new energy saving windows and steel/fiberglass doors professionally installed by ClearView Window and Door Company. For superior insulation and energy savings, we recommend steel/fiberglass doors and vinyl window frames. 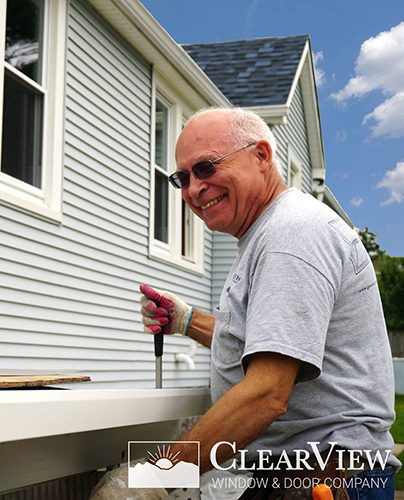 Many projects involve replacing old drafty windows and doors with energy efficient, maintenance-free models. We install replacement windows and doors in all types of homes, condos, and commercial businesses throughout Baltimore City, MD. For the most energy efficient windows in Baltimore City, you can’t go wrong with Clearview windows. These windows are made from premium components.